The new study, led by Dr. James Rae from the School of Earth and Environmental Sciences at the University of St Andrews, provides crucial evidence of the processes that controlled CO2 and climate during ice ages. Although scientists have long-known that CO2 rise helped end the last ice age, its cause has remained a mystery. Lead researcher Dr. Rae said: "Many scientists suspected that the ocean round Antarctica was responsible for changing CO2 levels during ice ages, but there's not previously been data that directly proved this." Using samples of fossil deep sea corals, brought up from 1000 metres below the sea surface, Dr. Rae and his team made chemical measurements that allowed them to reconstruct the CO2 content of the deep ocean. 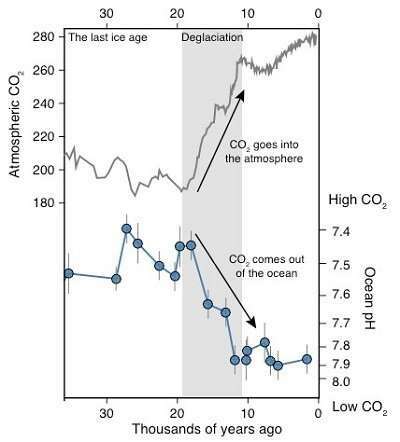 The researchers found that the deep ocean CO2 record was the "mirror image" of CO2 in the atmosphere, with the ocean storing CO2 during an ice age and releasing it back to the atmosphere during deglaciation. "CO2 rise during the last ice age occurs in a series of steps and jumps associated with intervals of rapid climate change," explained Professor Laura Robinson from the University of Bristol, who collected the samples from the Southern Ocean. 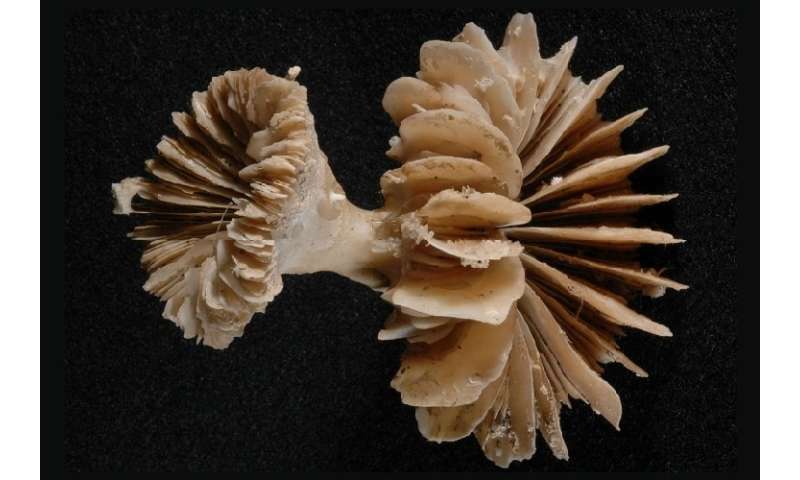 "Deep sea corals capture information about these climate changes in the chemistry of their skeletons but are hard to find." To bring back these important samples, the team spent months in the freezing waters of the Drake Passage, between South America and Antarctica. "Most people think of corals as tropical creatures, but they also live deep beneath the waves in some of the world's most extreme deep-sea environments," said Dr. Andrea Burke from the University of St Andrews, who was part of the mission. As well as helping scientists better understand the ice ages, the new findings also provide context to current CO2 rise and climate change. "Although the CO2 rise that helped end the last ice age was dramatic in geological terms, CO2 rise due to human activity over the last 100 years is even larger and about 100 times faster", said Dr. Rae. "CO2 rise at the end of the ice age helped drive major melting of ice sheets and sea level rise of over 100 metres. If we want to prevent dangerous levels of global warming and sea level rise in the future, we need to reduce CO2 emissions as quickly as possible."